ZO-30N is one of our most basic units used for different applications. It has been used as a functional unit for dish sterilizers and commercial ozone generators for water treatment. 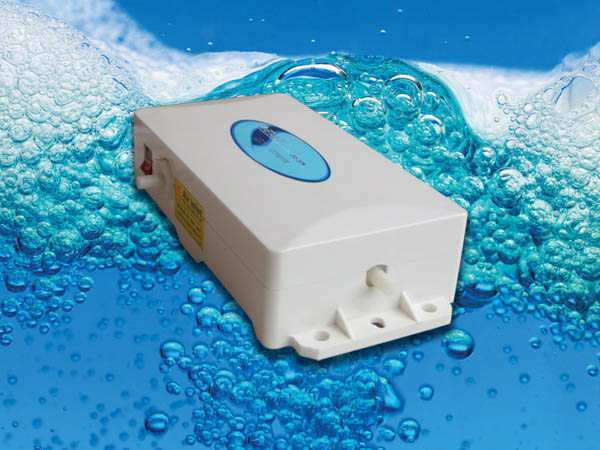 We believe that a wider application of this unit could be found by applying it to spas, baths, small pools and anywhere small volume of water sterilizing is necessary. This is a highly integrated corona discharge three in one unit with ozone tube, ozone power and Air Pump in one plastic case. It is a very compact design but is a very powerful and enduring product. *Notice: 110V 60Hz, 220V 50Hz. The difference of Hertz will affect the air pump output. *To users in England and the countries where use UK standard power plugs: We do not have UK standards power plugs. Users in these countries will get products with standard EU power plugs. 1. Low power consumption (7W) with high ozone output. 2. Compact design with built in Air Pump, buy and use instantly. 3. Able to connect with Air Dryer through air inlet. 4. Come up with 2 sets of hoses and diffuser stones.